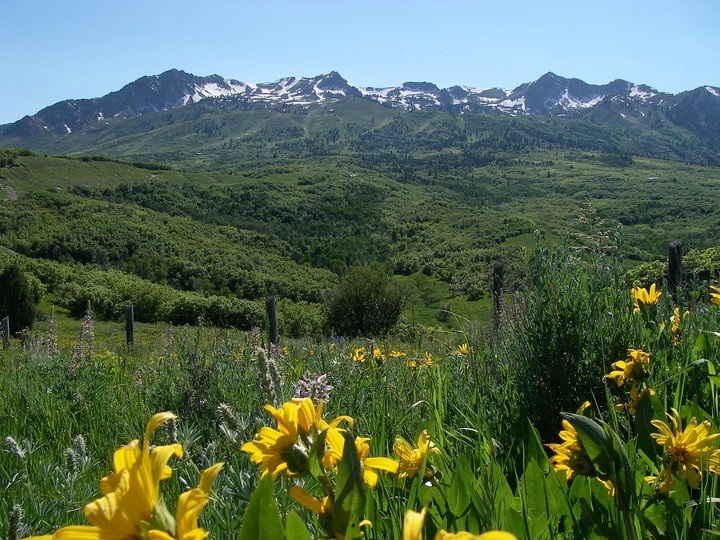 We might be a little prejudice, but we think the Ogden Valley is a fantastic place to live. It is one of those rare gems where you can play where you live. The views are amazing, just look out your window and you are surrounded by the Majestic Rocky Mountains. The winter months afford Alpine Skiing, Nordic Skiing, Cat skiing, Heli Skiing and Snowboarding at 3 different resorts Snowbasin, Powder Mountain and Nordic Valley. Two of which have night skiing. There is even a cross country ski venue in North Fork Park at the northern end of the valley. Not a skier that’s okay there is always Snowmobiles, Snow Shoing, sledding, dog sledding or build a snow man and have a snowball fight with your family and friends. Oh did I mention Ice fishing on the Pineview Lake, a must do adventure for the avid fisherman. The other months where the valley isn’t covered in that white powder we call snow, you can sail, canoe, kayak, paddleboard, water ski, jet ski, waveboard, wakeboard or have a swim day at the beach at Pineview Lake. Causey lake is a short distance up the mountain and affords all the none engined powered type of recreation. Like fishing? There is Pineview Lake, Causey Dam, Ogden and Weber Rivers to accomodate you. Want to try rafting or tubing then floating the Weber River is fun. Hiking, did I mention the Hiking or the Mountain Biking. Just use your AllTrails app and discover the 100’s of hiking/biking trails in the area. Everything from easy, take along the little ones, to fall down & don’t do it alone, tough. Their are waterfalls, wildflowers and birdsong trails. Want to see a moose go on a hike in North Fork Park! The Ragnar Wasatch Back, relay race which covers roughly 185 miles and runs right through the Ogden Valley every summer. There are festivals in the summer months. Mountain Music, Ogden Valley Balloon Festival just to name a few. You want a old fashioned hometown Independence Day Celebration? Their are 3 in the Ogden Valley, Liberty Park hosts Liberty Days, Eden and Huntsville all have parades, food, rodeo, fun and games for the kids, even a dance before the fireworks. Now the fireworks are awesome, everyone brings blankets and chairs to lay out on the grass to watch them and they are right over your head. Autumn brings the changing of the colors and the mountains are on fire, with yellow, gold,purple and red. An official scenic drives of Utah takes you through the Ogden Valley around Pineview lake to a vista of colored mountains that surround the valley. Come visit us and see for yourself. You too can LOVE where you LIVE! Eden, Liberty and Huntsville homes for sale are waiting for you!